Dozens of civilians have been killed by US-led coalition air strikes in the Syrian city of Raqqa over the past 24 hours, according to Syrian state media. 42 peope died in attacks on areas held by so-called Islamic State, reports The Syrian Observatory for Human Rights. Another 32 civillians were killed in one district alone, according to Anti-IS group, Raqqa is Being Slaughtered Silently. There has been no immediate comment from the coalition – who are supporting Kurdish-led fighters seeking to capture Raqqa, reports the BBC. 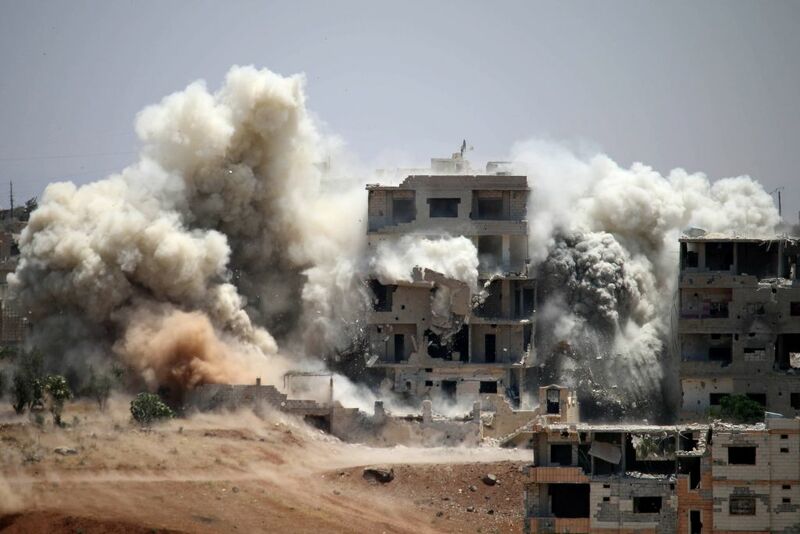 The Syrian Observatory – a UK-based group that monitors the six-year-old civil war through a network of sources – said 19 children and 12 women were among those killed in Monday’s air raids. 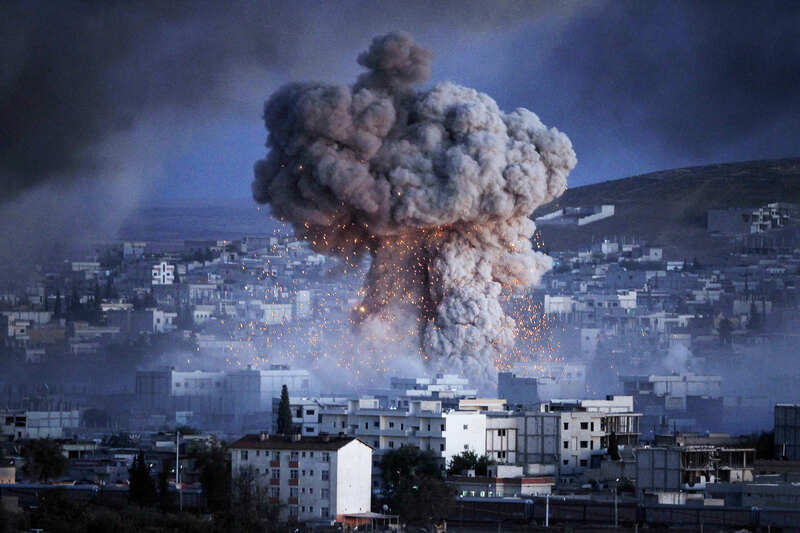 Since August 14, they said, the latest strike took the number of civilians killed in coalition strikes to 167. The tolls are high because the air strikes are hitting neighbourhoods in the city centre that are densely packed with civilians. There are buildings full of civilians that are trying to get away from the front lines. 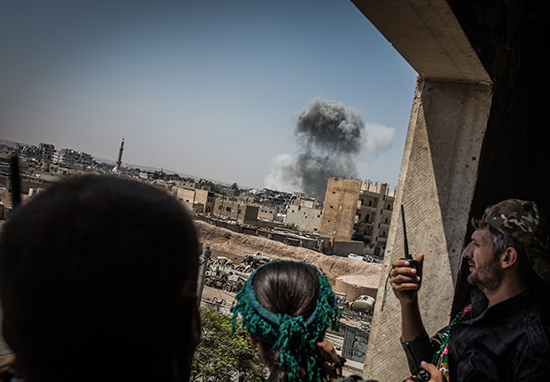 At the beginning of June, the coalition said at least 624 civilians had been unintentionally killed since 2014 through their airstrikes in Syria and Iraq, however, numerous human rights groups believe the true figure is much higher. 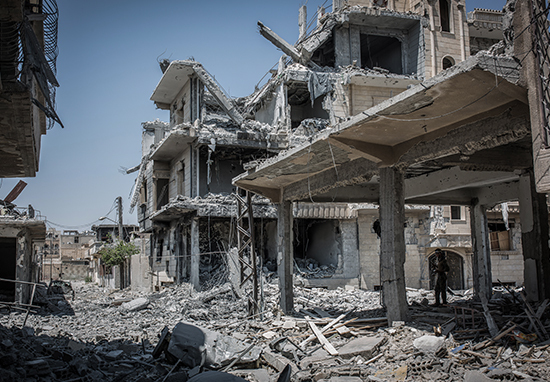 Airwars – an organisation tracking allegations of civilian deaths – said as of August 8, coalition air strikes were likely to have killed at least 4,487 civilians in the last three years. Stephane Dujarric, a UN spokesman, informed reporters they were deeply concerned for the safety of up to 25,000 civilians trapped inside Raqqa, many of them women and children. The UN stresses again that all parties to the fighting are obligated to protect civilians under international humanitarian law, as well as the need for sustained and unhindered access to those who need help. Tens of thousands of people have fled the city, but those remaining are said to be facing severe restrictions of movement in and out of the city, which has reportedly dwindled food and water supplies. In July this year the Syrian Observatory For Human Rights estimated 475,000 people have been killed in the Syrian revolution during the last 76 months.